Low Spirits have shared 'The Plumber', the first release on their own label 96%. 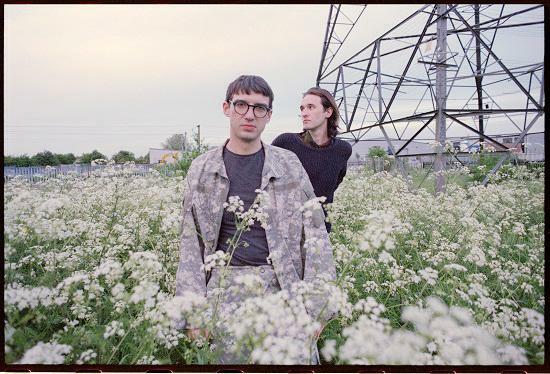 Born as result of the amount of times Cavan McCarthy spent sleeping on Fred Macpherson's sofa whilst down in London from Birmingham; the duo thought they might as well make use of their close proximity and shared love of music. They met on tour in 2012 with their bands Spector and Swim Deep and after spending many late nights discussing recording together, they finally went ahead and did it. 'The Plumber' is one of the initial tracks they finished and was inspired by Peter Weir's 1979 Australian TV film of the same name. The track has a sci-fi ambience and is filled with atmospheric keyboard chords, coupled with mechanical guitar synths. The duo utilise the majestic production and lace it with vocals of a dulcet texture, which juxtapose the harsh feel of the record. The song was premiered before a rare screening of the film at the Prince Charles Cinema in London last night.